Carlsen – Caruana 2018 – tiebreaks LIVE! 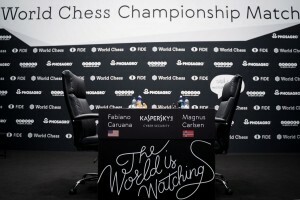 Hello everyone and welcome to the live coverage of the 2018 World Chess Championship match between the reigning champion Magnus Carlsen (Norway) and the challenger Fabiano Caruana (USA). 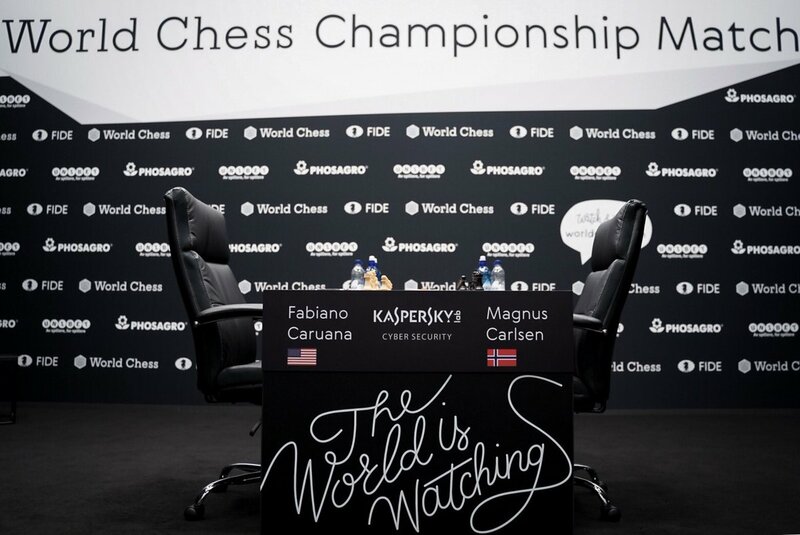 In this live blog + live games from WCC 2018 we will be covering the event Carlsen – Caruana with the latest news, developments, interviews, and in-game details. The most important feature here will be the lines of analysis by Lc0 – the open Neural Network, and the TCEC champion Stockfish running on a Super Computer of 128 cores. Carlsen will start with the white pieces, as per the draw conducted during the last press conference.